A collaboration between Stemless and The Oregon Girls Collaborative Project (OGCP) to help further involve young girls in pursuing an education in STEM fields. On Thursday, July 26, 2018, a gathering of largely young adult cannabis aficionados gathered at Tillamook Station in North Portland for an cannabis infused dinner. 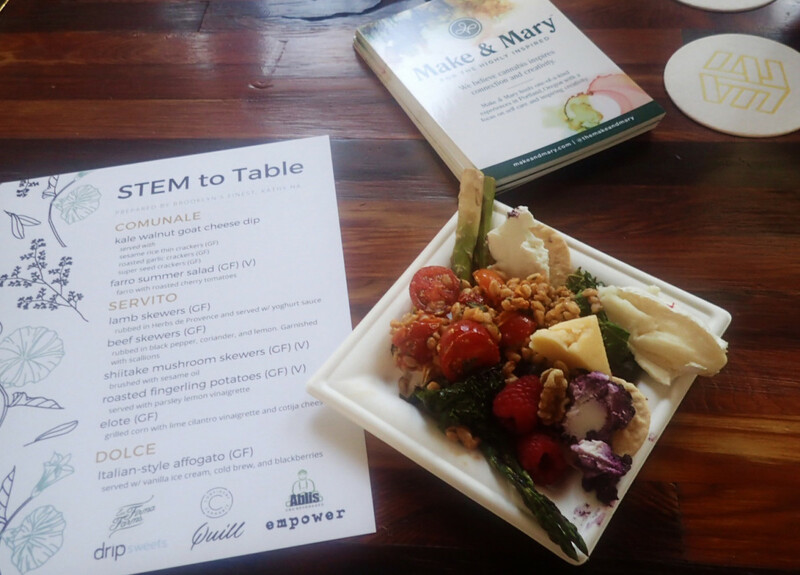 This event, a collaboration between Stemless and The Oregon Girls Collaborative Project (OGCP) featured the culinary creations of chef Kathy Ha from Brooklyn New York. 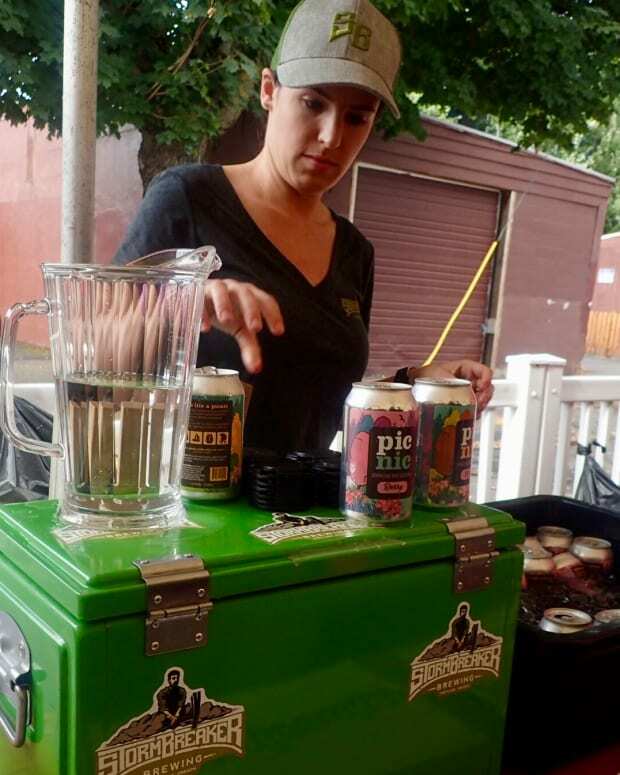 Tillamook Station, a space designed to host creative events where participants can work and play, has a warm industrial feel that lends itself to hosting a perfect summer evening where I could chill with cannabis while making connections. 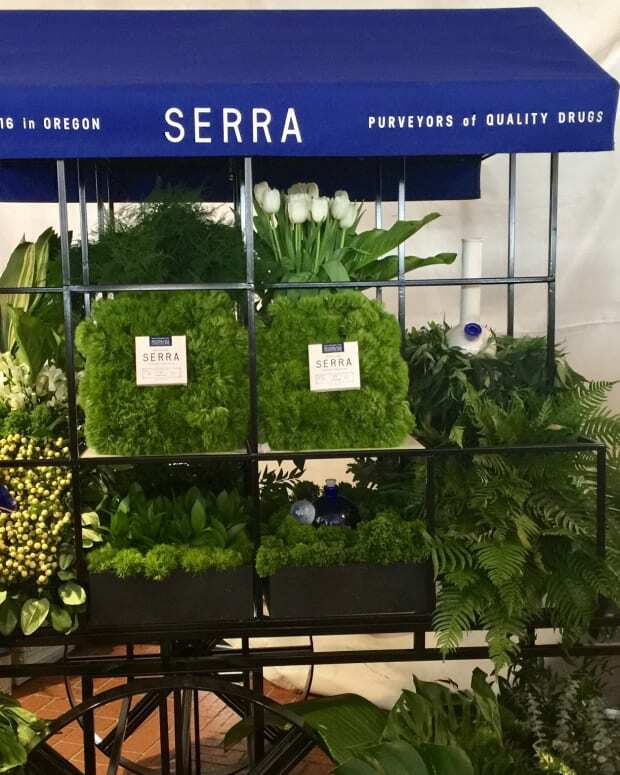 Upon entering, I was greeted by a display of summer fare starting with a spread of fruit, kale walnut goat cheese dip served with a selection of gluten free crackers and a farro summer salad. Guests could choose from lamb, beef, or shiitake mushroom skewers served with roasted fingerling potatoes and elote—grilled corn with lime cilantro vinaigrette and cotija cheese. Non-infused selections were also available. While the amount of cannabis per serving was not listed, they offered quite the uplifting experience. This event sought to support the OGCP, a non-profit dedicated to encouraging girls pursue careers in science, technology, engineering, and mathematics (STEM). 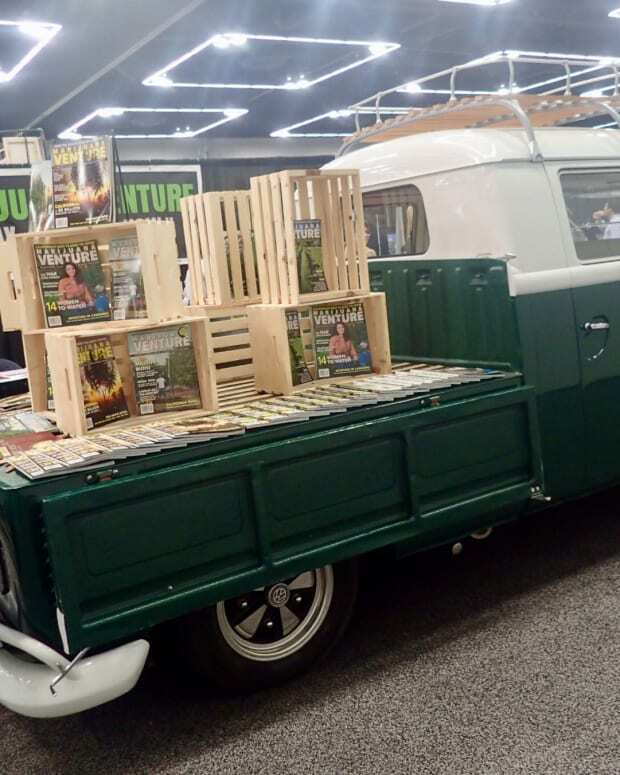 This event marks the first time the cannabis community has connected with this nonprofit. Organizers hope events such as this can educate the Portland community in how interested parties can participate to increase gender-equitable involvement in STEM fields, as well as highlighting the OGCP’s work. 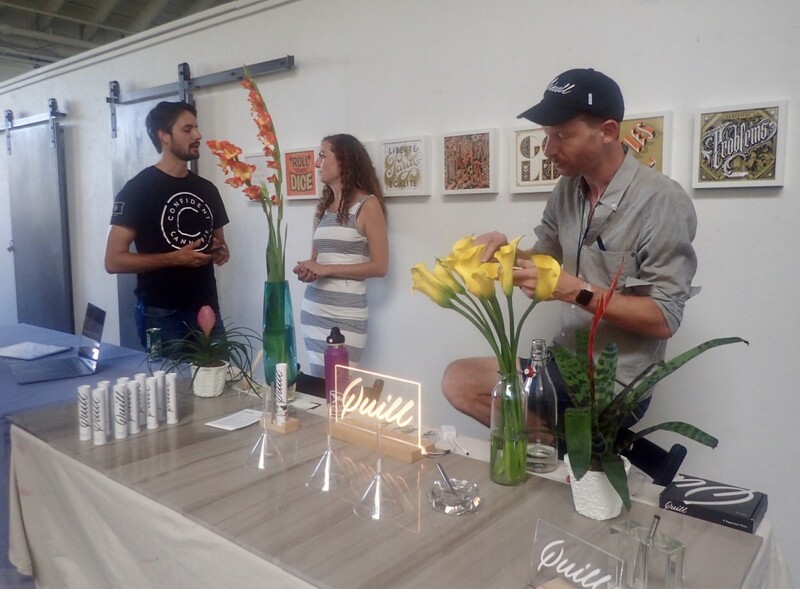 Cannabis industries who supported this event included Quill vape pens and Confident Cannabis, both of whom displayed their company’s offerings at this event. According to Brad Bogus, VP of Growth & Marketing at Confident Cannabis, the vision statement they recently crafted serves as a compass that directed them to support initiatives such as OGCP...and the timing was somewhat serendipitous. Apparently, Confident Cannabis had just set their mission and vision statements less than 2 weeks before hearing of the event.